We’ve noticed that many people are concerned about tooth decay during and after orthodontic treatments. We thought we’d take the time to go through some of the most common questions in our latest blog post. Is it safe to get braces while having cavities? Before having braces your orthodontist will want to ensure that you have a healthy mouth, this is particularly true if you have fixed orthodontics. If you have fixed braces fitted while having cavities then it can be extremely difficult to treat those cavities as tooth structure may need to be removed. Orthodontics is therefore usually only carried out on a healthy mouth, free of gum disease and for patients with good oral hygiene. A good dentist or orthodontist can help you achieve this. How can cavities be prevented while having braces on? Clean your teeth at least twice per day for 2 min each time with the fluoride toothpaste. Keep dental plaque at bay by cleaning in between your teeth with superfloss or an interdental brush/stick. Consider having a fluoride treatment at the dentist prior to having braces fitted. Continue to visit your dentist, they can then ensure that any early tooth decay problems are noticed. Let your dentist and orthodontist know any medical condition which you have, some conditions and treatments for those conditions can leave you more predisposed to dental cavities. If your dentist or orthodontist are particularly concerned, you may have particular deep valleys (fissures) in the costs of your back teeth then these can be filled with dental sealants such as composite resin. These can drastically lower the chance of cavities developing. What happens if you don’t brush teeth while you have braces? The natural biofilm which is a sticky substance covering your teeth that everyone has will build up. As the biofilm builds up it tends to harden and form dental plaque. As the bacteria which hygienist plaque continue producing acid each time you eat or drink your teeth are subjected to attack. As the acid erodes the outer surface of your tooth enamel, more bacteria find places to hide. As the bacteria continue to produce the acid the dental cavity becomes larger and larger. When the cavity reaches the softer, inner dentine the speed of the decay increases. When the decay reaches the inner blood vessels and nerves of your tooth you will be in excruciating pain and need to see a dentist immediately. If left untreated this can ultimately lead to tooth loss! The good news is that all of this is largely preventable… Just clean your teeth whilst you have braces! Can braces cause a tooth to die? Braces put a reasonable amount of force on the tooth, however this is monitored carefully by your orthodontist so braces should not cause teeth to die. No, braces cannot cause abscesses. Abscesses are caused by a deep infection underneath the gum of your tooth, typically this infection takes hold due to poor oral hygiene. Can you see a theme appearing here? Good oral hygiene is key to getting the best from your braces. 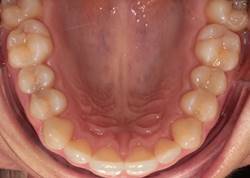 Does wearing a retainer cause cavities? It’s not the wearing a retainer that could cause cavities, it’s not keeping a retainer clean that could cause cavities. You should clean your teeth at least twice per day with a fluoride toothpaste, making sure you clean in between your teeth with floss or a brush. You should also clean your retainer. The same biofilm which you clean off of your teeth also sticks to a retainer. If it’s not removed at the same time as cleaning your teeth then the biofilm can simply be transferred back onto your teeth, effectively as though you haven’t cleaned your teeth in the first place! This biofilm can then form into plaque which can harbour bacteria and causes the cavities. Does straightening of teeth make them weak? There is no evidence to suggest that orthodontic teeth straightening makes teeth weak, so long as you follow the advice of your dentist and orthodontist by cleaning your teeth then your teeth will not be weakened. The only thing that is slightly weaker after orthodontics is the position of your teeth, they have a natural tendency to want to return to their initial positions, this is why wearing a retainer is important. 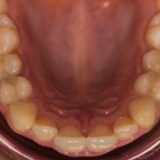 Are my teeth getting worse with braces? The easiest way to determine this is to speak to your orthodontist. Most orthodontists uses tracking software on their practice computers to track progress, you should be able to see a percentage chart showing how far you are through treatment. Why do teeth become yellow after wearing braces? You may have found it a little more difficult to clean your teeth with fixed braces, a visit to the hygienist should restore then natural whiteness. There may be some bonding resin which the orthodontist used to stick the brackets to your teeth still on the outer surface of your teeth. Again, a visit to the hygienist can help to remove any of this difficult to see composite resin. Your orthodontist will have had to etch the surface of your teeth in order to bond on the brackets, this can leave the teeth a little bit rough and more likely to pick up stains. If this is the case a quick polish by a dentist or hygienist will restore your teeth and remove any yellowing. If you have braces you should avoid foods which are particularly sticky chewy, these can pull off the brackets which can reduce the effectiveness of your braces. Particularly sticky foods can also be very difficult to clean after eating, this can then leave them stuck in between your teeth enabling the bacteria to start the process of tooth decay. As a specialist orthodontic practice we get to hear a wide range of questions asked by many of our patients, we thought we would collate some of the more interesting questions in a single blog post. The simple answer to this is no. Before you have any type of orthodontic brace your orthodontist will want to ensure that you have good dental health without any tooth decay. This for a couple of reasons. Tooth decay can be a sign of poor oral hygiene. If you have fixed braces then you need to ensure your oral hygiene is good to prevent further decay. Tooth decay will only get worse if untreated. You will probably have your braces on for anything up to 2 years. In this time tooth decay will almost certainly get worse if left untreated. 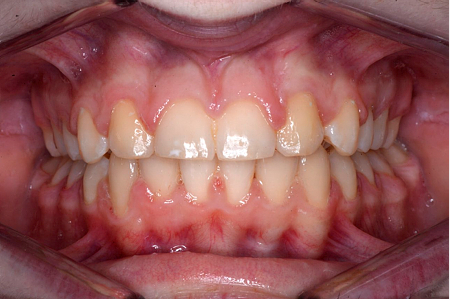 Treating the decay can be made extremely difficult if you have orthodontic braces fitted. 2. What is the difference between an orthodontist and a dentist? All orthodontists are dentists first. 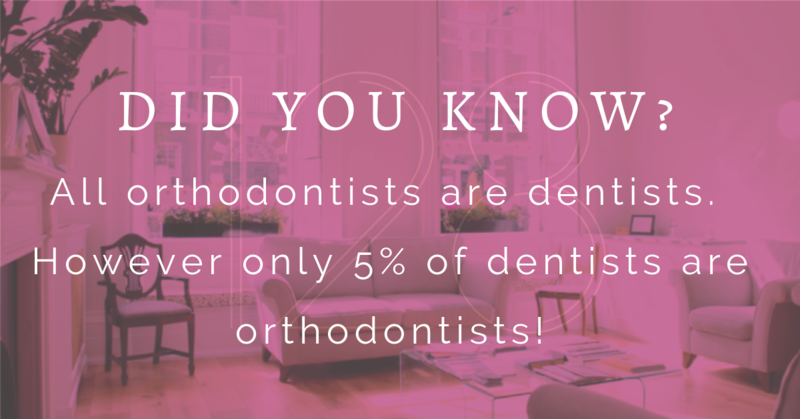 However only 5% of dentists are orthodontists. An orthodontist will be registered with the General Dental Council GDC in the UK as a specialist. An orthodontist has undertaken Masters level training after their initial dental degree. Most specialist orthodontists are also registered with the British Orthodontic Society. 3. Can dental retainers correct slight shifting? Let’s be very precise here. Strictly speaking a retainer is used AFTER orthodontic treatment to retain your teeth in their new position, a retainer is not active and does not move the teeth anywhere. However many people use the word ‘retainer’ to talk about an active orthodontic appliance. 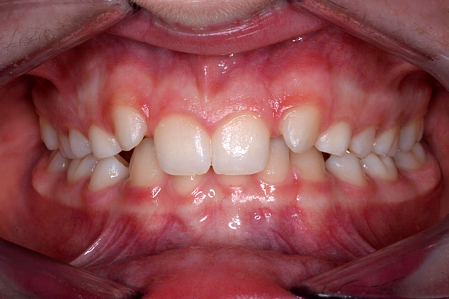 Slight shifting can be corrected with an active orthodontic appliance. Modern technology has seen the advent of a range of different orthodontic treatments without metal braces, these include tooth coloured braces (these working exactly the same way as traditional metal braces but are either ceramic or clear) and clear liners such as Invisalign. NHS orthodontic treatments we usually not include tooth coloured braces or clear orthodontics. 5. 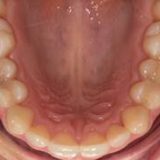 What is it like having an open bite and then getting braces? If you have an open bite and then get braces this would usually be with a fixed appliance. 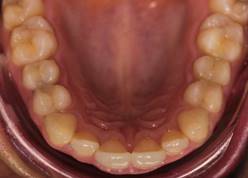 An open bite is usually defined by the back teeth meeting but there being a gap at the front. Treatments can be extremely successful but usually more complex and so are often not available at a general dentist, you may find you need to see a specialist orthodontist. 6. How to know if my ortho braces are going well? One of the best ways to know if your teeth straightening treatment is going well is to ask your orthodontist. During treatment you should have regular appointments, typically every six weeks although sometimes it may be more. With some of the more modern orthodontic treatments such as Invisalign which use computer assisted design it possible to monitor progress based upon a 3-D computer animated modelling which was undertaken at the beginning of treatment. Many orthodontists use a tracking system to be able to tell you how far through treatment you are, simply ask each time you go. 7. Should I get braces if I like my smile? Not all braces are for cosmetic reasons. Sometimes patients find it difficult to eat and chew due to the position of their teeth, braces can help in this situation also. Sometimes braces can also be used to move teeth to a more convenient location for other treatments such as a dental implant or a dental crown. 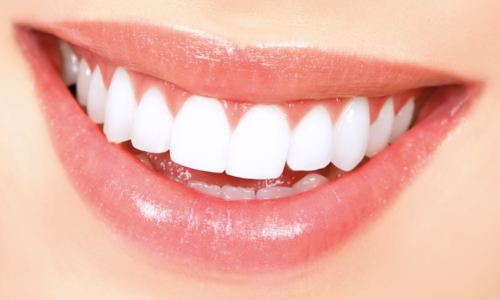 Moving teeth like this is usually for health benefits making teeth easier to clean and maintain rather than for cosmetic options. 8. How do orthodontists plan a treatment? Your orthodontist may take impressions at the beginning of treatment, these can then be used to plan treatments in advance. Teeth can be moved on these orthodontic models and final positions calculated. Modern treatments such as Invisalign also use computer assisted design to plan treatments. Invisalign uses a patented system called a Clincheck, this produces a visualisation of your tooth movement from beginning to end of treatment. It allows you to see what you will look like after your orthodontics and is an excellent adjunct to the orthodontic planning process. Unfortunately Invisalign is not available as an NHS treatment. Orthodontists will also use their extensive knowledge and case history to be able to plan treatments. Ask to see previous cases which are similar to yours, a good orthodontist will have a book of before and after photographs which would show patients and how they treatment was planned and executed. 9. How to feel more confident with orthodontic braces? If you are concerned about having orthodontic treatments don’t speak to your orthodontist and talk about discrete options. Tooth coloured braces or clear braces may often be available. An alternative is to go completely the other way, many patients are nowadays asking for brightly coloured orthodontics and making them a fashion statement in themselves, very much like brightly coloured glasses! 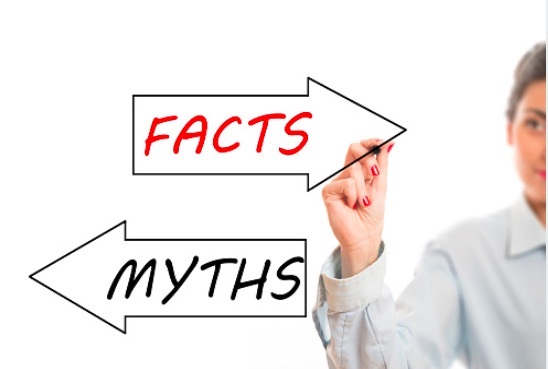 The choice really is yours, only by having a full discussion with your orthodontist and being completely honest and open about what you want to achieve will ensure you get the best result you. After all, having orthodontic treatments is often all about confidence in a new smile, so it’s equally important to feel confident throughout the process either by showing off your new braces or by having discreet or invisible options to keep things hidden. 10. How much do braces cost in the UK? Are all appointments included in this fee? Will I have to pay an additional fee if treatment goes on longer than originally estimated? Do I have to pay for an initial consultation or is there a free consultation? Are retainers included in this free? If my braces break is a repair included in this free? An opportunity for you to have a detailed discussion with orthodontist about your concerns and requirements. A full treatment plan with all of your options carefully explained. A detailed pricing structure helping you decide which route to smiling confidently is best for you. What did this patient dislike about her teeth? 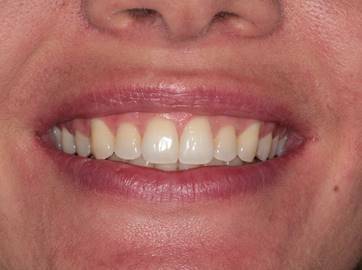 Why did this patient choose Invisalign? 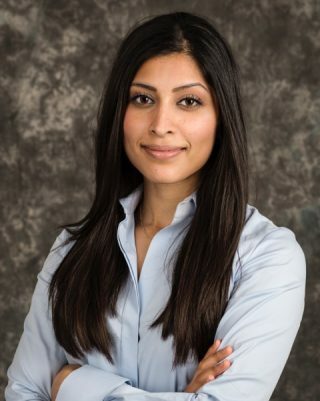 She opted to have Invisalign treatment as she had a busy schedule and could not commit to regular follow-up appointments. How did she feel after treatment? She was extremely over joyed with the result and also opted to have teeth whitening for the “cherry on the cake” effect! She told us that she regretted the fact that she did not to do them before however we reassured her that she can still enjoy her smile for a very long time to come! Dr Milisha is shortlisted for the young dentist of the year award! We are very proud to announce that Dr Milisha has been shortlisted for the young dentist of the year award, 2017! 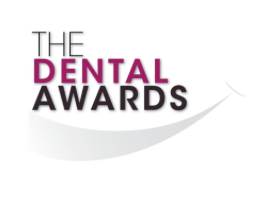 The dental awards are the “Original and most respected awards in UK dentistry”. Hundreds of dental professionals enter the awards every year. 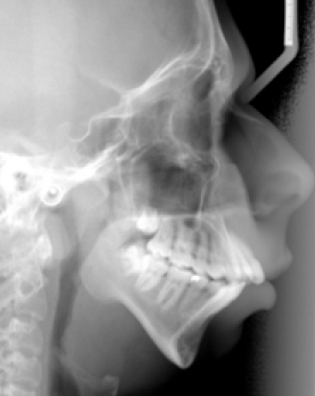 Dr Stefan has recently published his research on arthritis in children, and describes how it affects their jaw structure. 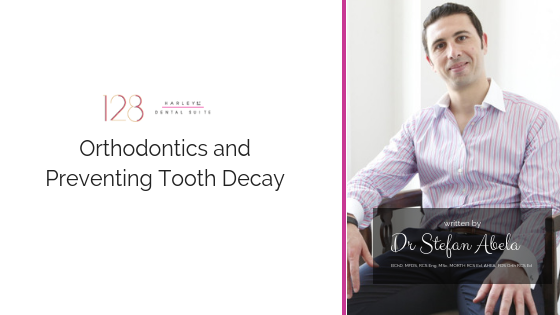 Dr Stefan describes how one of his patients were treated with a combination of teeth straightening as well as jaw surgery with excellent results. Find out more by clicking on the link below.